Are you, people, wondering whatcha gonna watch when THE WALKING DEAD ends the first part of its current season this month? Wonder no more! 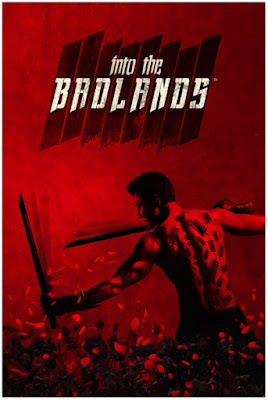 Kung Fu dystopia is arriving November 15th with the six episode of new epic series INTO THE BADLANDS at AMC airing worldwide the same week too! Centuries from now, a feudal society has emerged in the wake of civilization's destruction. This area is now called the Badlands and is uneasily divided among seven rival Barons. Each Baron enforces their iron rule with the aid of loyal armies of trained assassins known as Clippers. 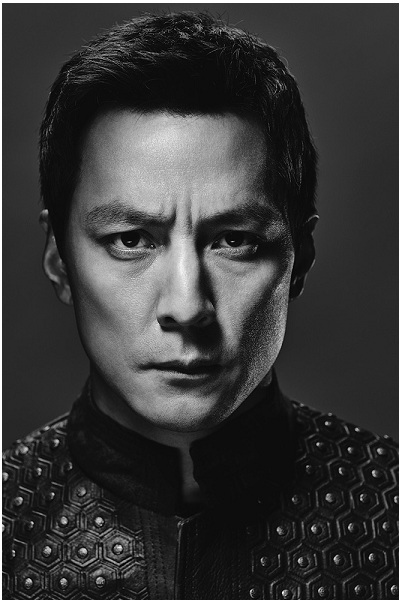 The most lethal of the Badlands’ Clippers is Sunny (Daniel Wu), the Regent and most trusted advisor of Baron Quinn (Marton Csokas). For decades, Quinn has been unchallenged as the Badlands’ most powerful Baron; however, the territory’s newest Baron, The Widow (Emily Beecham), has begun testing his appetite for a fight. One day, Sunny rescues M.K. 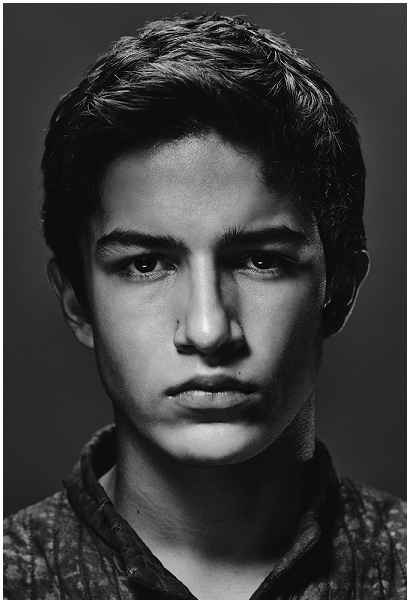 (Aramis Knight), a teenage boy who has survived a deadly ambush. Sunny soon comes to understand that the teen harbours a dark secret and has a hefty bounty on his head. Together, they will embark on an odyssey that could mean the difference between chaos and enlightenment for everyone in the Badlands. Sunny (Daniel Wu) is Regent (Head Clipper) to the Badlands’ most powerful Baron, Quinn. He is the ideal right-hand man: a prodigiously skilled, merciless killer with a keen strategic mind, unflappable temperament and deep sense of loyalty. 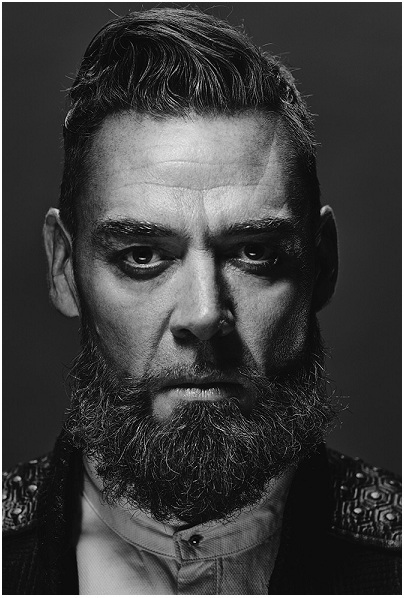 Quinn (Marton Csokas) is ruthless, enigmatic, shrewd and charming, the Badlands’ preeminent Baron. A former Clipper, Quinn secured his position the old-fashioned way: he killed for it, murdering the very Baron who trained him! 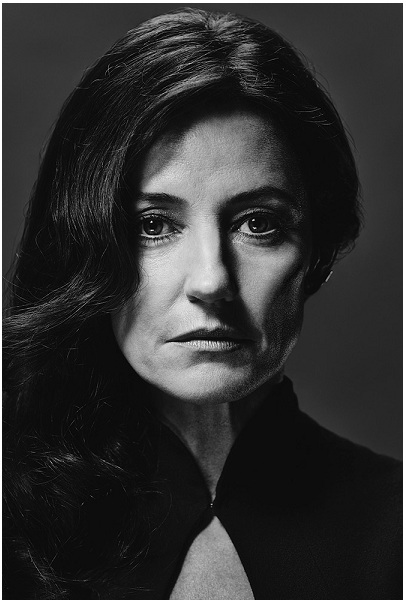 Lydia (Orla Brady) is Quinn’s first wife and is both his fiercest critic and most devoted follower. Without her astute counsel, he wouldn’t have ascended so far. She makes it abundantly clear that she is still The Fort’s true Baroness and always will be. 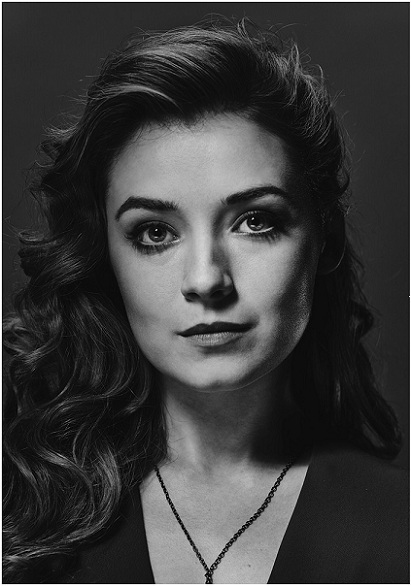 Jade (Sarah Bolger) is a beautiful young woman whose beguiling demeanour hides a core of ambition and tenacity. She is about to become Quinn’s wife, and aims to eclipse Lydia in her husband’s affections. Saved from mercenary Nomads by Sunny, M.K. (Aramis Knight) is taken to Quinn’s walled compound, The Fort. A seemingly average teenage boy, M.K. is anything but. Lurking inside him is a dark energy that is only unleashed when his skin is cut! 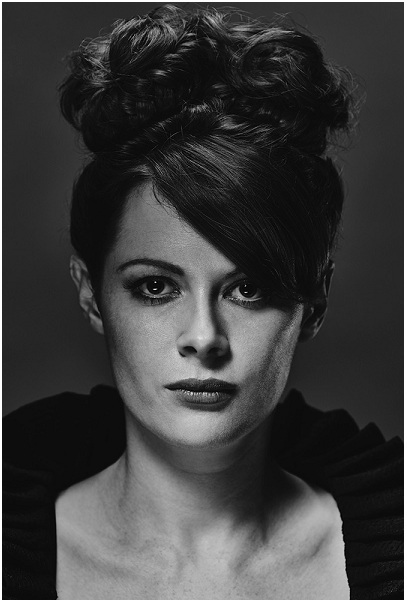 The Widow (Emily Beecham) is the Badlands' newest Baron: a brilliant martial artist, she has adopted a blue-winged butterfly as her Baronial symbol, representing a transformation from insignificance to beauty and power. 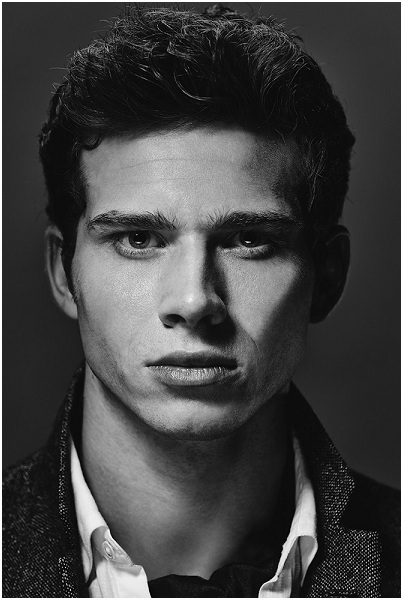 Ryder (Oliver Stark) is Quinn’s only son and presumed heir. Impulsive and arrogant, Ryder might have become a different person had he not been kidnapped as a child. Quinn’s refusal to pay the ransom resulted in Ryder’s torture and mutilation. The Badlands looks like it has a tough cast of characters! it looks very rich and very original, can't wait to see it, hope it does not disappoint! Well, that is original. I wonder how it will do? 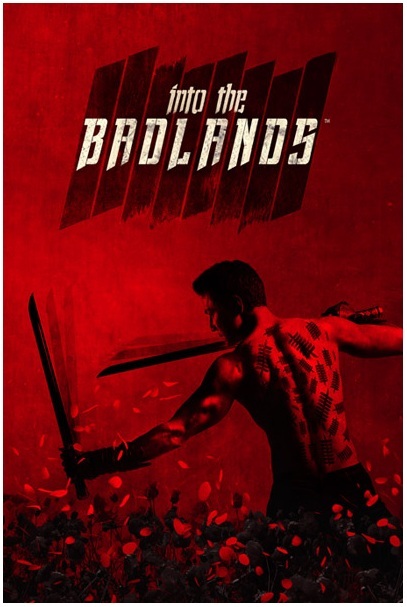 Into the Badlands looks enticing. I'd love to see it. 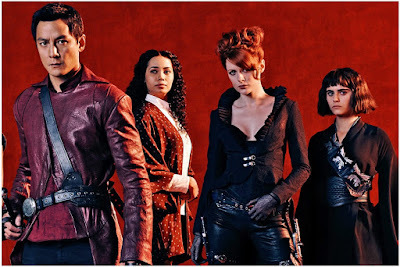 The characters look bada**. should be a visual treat! 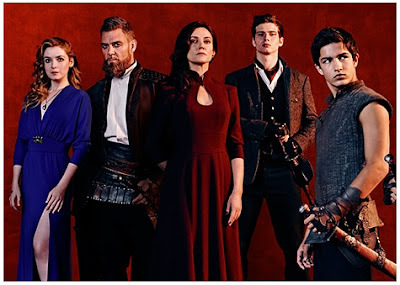 Looks interesting, but is it gonna be like all the other new American shows, which infact are all the same, except set in different times and places?? Here's hoping?? Okay, other than being a tad bit violent and a tad bit dark...looks good. Have a great evening, Dez dear. I had no interest in this one until I watched the trailer. Looks really good, and that house with the double staircase? Me wants really bad! AMC keeps advertising this 10x during TWD. They are also advertising a show called the Preacher. I'm thinking that I'm going to enjoy Christmas themed lifetime movies instead. Lol lame, I know. Oh, I've seen about ten beautiful posters for this year's Lifetime's Xmas movies, they're ever so lovely! Some gorgeous people starring in them this year too! Wait...did you say "kung fu dystopia?" For some reason that seems funny to me! It does take what is becoming a tired theme and give it a new twist. Introducing Asian culture and sensibility is interesting. And it looks like in the hands of Westerner's those noble values become twisted. I noticed the extensive poppy fields. 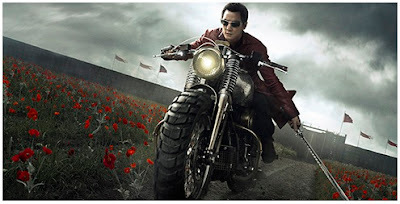 I suspect someone will be harvesting Opium and using that as a means to gain power and control. No one? That can't be right. well, only with Hiddleston.... but good luck with that love, no?